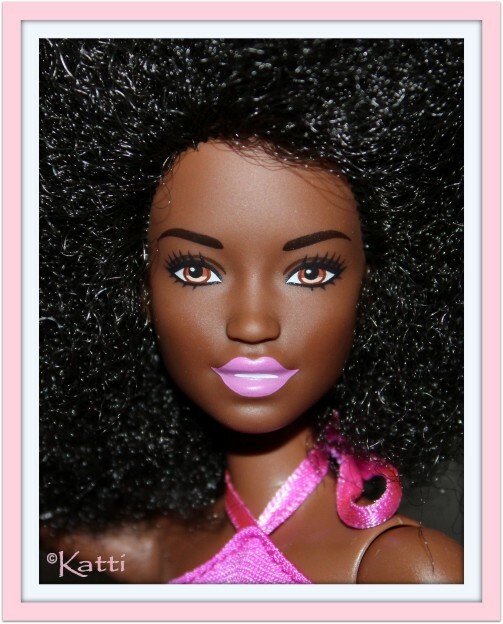 The Fashionistas line of dolls keeps expanding. I am missing the first doll with this sculpt so I got a bit confused when I tried to pull them all together and realized this girl (Fancy in Flowers) isn't the same one as the 'Kassandra' sculpt. 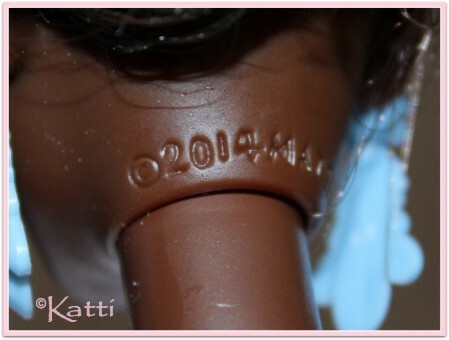 Both are marked 2014 but this sculpt is less African looking than the other one. Kim and Kassandra are no official names but they got stuck with the collectors to keep the sculpts apart.